Have you seen Ferris Bueller’s Day Off? If you haven’t I really think you should. You would love it! 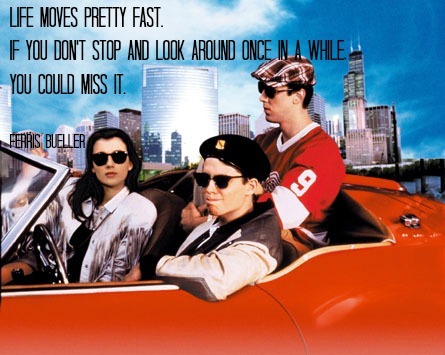 Ever since I watched this movie, I’ve wanted to go to Chicago. Now I’m here and following in Ferris’ footsteps. Where he went, I’ll go. Ferris knows what’s what. Life does move fast. I hope you get some time to stop and look around today. What’s your all time favourite movie? Do you have a groovy movie quote? Why not share it in the comments?